As a freelancer, especially in cash-strapped January, it pays to aim for the best deal you can for the work you do. Think of a TV budget as a general pot of money – albeit a fairly small one which can always find the wherewithal to buy the Executive Producer another round of drinks. TV productions rarely have a set fee available for guests – it’s a question of you (or someone on your behalf) negotiating the best possible deal. This doesn’t apply if you are directly promoting a product – if you’re talking about your latest product or service, this is classed as a promotional appearance and would not generally result in a fee. But if you are asked to give a general, expert opinion on issues pertinent to your business, then you are entitled to ask for a fee. 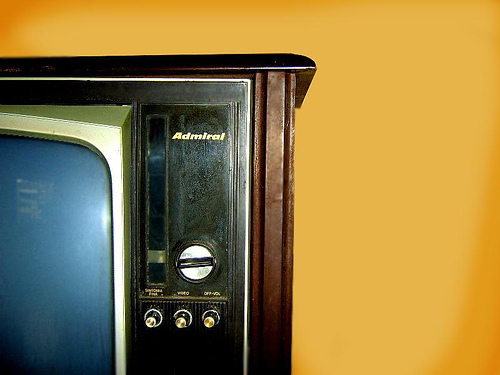 Now, before you start planning to retire off the profits of a few soundbites on GMTV, be warned – TV fees are notoriously stingy, especially once you factor in the amount of time involved. An appearance on a national daytime news programme could net you in the region of £150. For this you’d be expected to do some preparation, spend time traveling to the studio, hang around for a while waiting for your slot, then talk on screen for approximately 3 minutes. For an expert contribution to a documentary you could expect to receive around £250, but the interview would last much longer and so would the preparation. There are many people who appear regularly on TV who never get paid at all for their appearances. For others it can provide a second income stream and act as a good profile raiser for other business activities. The difference is very simple – you have to ask. It’s amazing how many people who appear in the media never ask for a fee, and consequently never get one. If a producer can save money by not paying you for your contribution, then they will do so, because it then leaves more in the pot to be spent on other things (like flashing disco lights and booze for the crew). The best way to negotiate your own fee is first of all not to mention money until you’re sure they want you to take part. Be aware that there may be no fee at all, in which case it’s up to you if the experience is valuable enough for you to want to take part. You may have several conversations with a variety of researchers and producers before you’re told whether you’re definitely required or not. Once they start talking about what time they want you to turn up, this is the time to calmly ask “What is the fee?” Note that this question assumes that there is a fee, as opposed to “Is there a fee?” which can easily be met with the answer no. At this point the researcher will probably ask you what you normally get for TV appearances. This can be a tough one if your only previous onscreen appearance was as an usher in your cousin’s wedding video. The smart answer at this point is to say that it varies, and give a range that you’re comfortable with (say around £100-£250, depending on how much of your time’s required). Remember that if you push for too high a fee, you may not be asked back, whereas if you’re seen as being good value then you are more likely to be asked to do more. The exception to this is the BBC, where there tends to be less negotiation. A random poltergeist is more likely to ring you up and tell you how much your teeny weeny fee is going to be. You will then shed a small tear and cross that Ferrari off your Christmas list. When I was a TV producer I always used to pay guests who hadn’t asked for a fee at least £100. They were usually quite shocked by this and there were lots of comments along the lines of “You mean you get paid for this!!!”. Well, yes you do, other people do and there’s no reason why you can’t. You have nothing to lose by asking.